As the homes of various animals are being disturbed due to the overwhelming influence of human activity, increasing conservation efforts have been taking place to help these individuals survive within their changing environment. One of the organizations dedicated to this conversation is the SeaDoc Society, a program of the Karen C. Drayer Wildlife Health Center dedicated to helping marine wildlife along with their surrounding ecosystem. Alexa Dickson, an intern for SeaDoc society during summer 2018, was able to experience the inner workings of this program through helping run the marine mammal stranding network in the San Juan Islands. Alongside her co-intern, Dickson managed the hotline on Orcas Island connected to calls reporting sightings of strandings. Once receiving a call, the interns, with the help of volunteers, conducted physical exams on the animals and determined whether the animals required medical attention or if they should be left to let nature take its course. Dickson explained that a large part of her position entailed her communicating with the public and educating them on the proper rules of conduct pertaining to animals. She explained that she faced some difficulties through these communications, as the public was not always understanding of the program’s decisions to leave stranded animals. Dickson hopes that the public can understand that these decisions are not easy to make nor are taken lightly by the program staff. If the veterinarians and scientists determined the stranding was caused by human activity, intervening actions usually took place. However, if there were no signs of human causation, decisions were made to let nature take its course. These determinations were made through careful consideration of the current state of the ecosystem along with profiles on each animal. Dickson stated that conservation medicine cannot be based on hard and fast decisions but rather requires deliberation of many different factors. During her time with SeaDoc Society, Dickson also worked with killer whales, specifically J35, a case where a mother orca carried her dead calf over a long distance. Through taking data on J35 and observing her over a period of seven hours, Dickson explained that the experience was interesting from a scientific perspective along with being emotionally concerning. SeaDoc Society was also involved in another killer whale tragedy — the case of J50. In this situation, a baby killer whale’s health began to deteriorate until she ultimately disappeared. 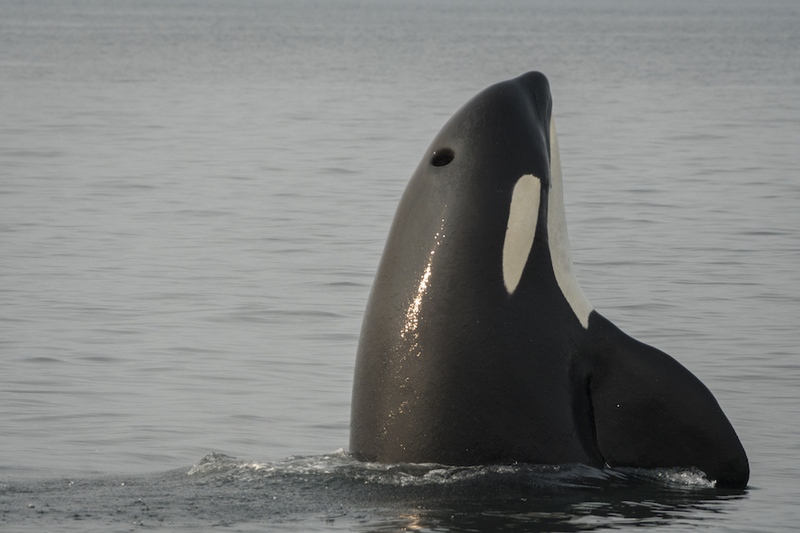 Despite SeaDoc Society’s effort to offer medical attention, the first clinical intervention attempted by the program on a sick orca, J50 was pronounced dead. According to Joe Gaydos, senior wildlife veterinarian with the Karen C. Drayer Wildlife Health Center and chief scientist for SeaDoc Society, this initial attempt brought the program’s attention to the fact that it needs better tools to examine and diagnose the health of these killer whales in order to treat them. He hopes to eventually offer annual examinations for each killer whale in the southern resident killer whale population once the proper tools are developed. In parallel with this case of clinical intervention, Gaydos has visited Gorilla Doctors, another program of the Wildlife Health Center located in Rwanda, to study the work and role of Gorilla Doctors in treating the mountain gorillas. Kirsten Gilardi, co-director of the Karen C. Drayer Wildlife Health Center at the School of Veterinary Medicine at UC Davis and U.S. Director for Gorilla Doctors, explained that the Gorilla Doctor program was initially established in the mid-1980’s by primatologist Dian Fossey when she put in a global alert for veterinarians to help mountain gorillas being injured by illegal snares. Since then, the program has grown to treat mountain gorilla injuries and human-induced illnesses such as respiratory diseases, leading to an increase in the mountain gorilla population whereas all other great ape populations are decreasing. Gaydos explained that Gorilla Doctors’ ability to treat the animals without taking them into captivity facilitates the improvement of not only the health of the individual, but also the whole population. He hopes to adapt these skills to efforts of clinical intervention with SeaDoc Society and other future conservation efforts.